An FIR was registered on January 4, 2016 (yesterday) against Rohit Bansal, founder and CEO of Snapdeal, for allegedly selling Nestle’s Maggi noodles online during its ban. This was sold in five states of the country, during the period of ban between June 7 and October 30, 2015, said police. A Jaipur-based lawyer, Lalit Sharma filed a complaint after which police registered an FIR under sections 420 (cheating), 120-B (criminal conspiracy), 272 (adulteration of food or drink intended for sale), 273 (sale of noxious food or drink) of the IPC and sections 59 and 63 of the Food Safety and Standards Act 2006. We tried reaching out to Snapdeal’s spokesperson, but their has been no response on this matter as of now. Back in June, 2015, the Food Safety and Standards Authority of India had banned the sale of Maggi after they found the noodles contained lead at levels far higher than legally allowed. The tests also detected the chemical flavour enhancer monosodium glutamate, or MSG, which is not mentioned in the product’s list of ingredients. 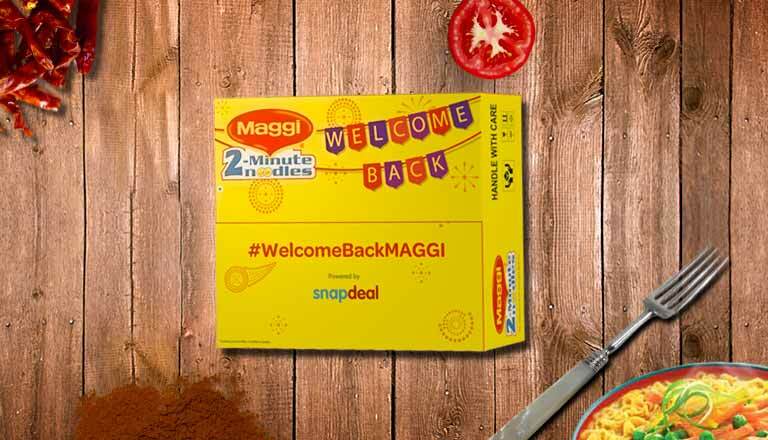 However, the Bombay High Court had canceled the ban on Maggi on October 19, paving the way for it to be back on shelves.